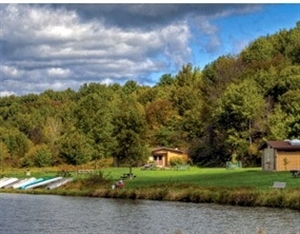 Rich in quality of life, history and natural beauty, Northeast Pennsylvania (NEPA) offers a variety of entertainment and activities from A to Z for all who seek to experience life. Includes Cities/Towns: Bear Creek, Benton, Cambra, Dallas, Glen Lyon, Harveys Lake, Hunlock Creek, Huntington Mills, Lehman, Nanticoke, Noxen, Pittston, Shickshinny, Stillwater, Sweet Valley, Wapwallopen, Wilkes Barre, Wyoming. Wilkes-Barre, PA, continues to revitalize the downtown with restaurants, pubs and a new urban park. The River Common offers 12 miles of trails for bikers, joggers, walkers and roller bladers along the Susquehanna River. It is not uncommon to see kayakers paddling by the city. The River Common is host to many local events including Riverfest in June when 100’s of kayakers adorn the banks of Nesbitt Park.Triple A affiliate of the New York Yankees plays here. Campgrounds for tent and RV. Beach area is incorporated to lake front and state park areas. Several ski areas include tubing and mogul runs. There is also an indoor water park to enjoy. Jan 16.8 F° 24.8 F° 32.9 F° 2.6 "
Feb 19.4 F° 28.0 F° 36.6 F° 2.3 "
Mar 26.7 F° 36.3 F° 45.9 F° 2.8 "
Apr 36.7 F° 47.8 F° 58.9 F° 3.5 "
May 46.4 F° 58.1 F° 69.8 F° 3.7 "
Jun 55.4 F° 66.6 F° 77.8 F° 4.4 "
Jul 59.8 F° 70.8 F° 81.8 F° 3.9 "
Aug 58.4 F° 69.2 F° 79.9 F° 3.5 "
Sep 50.7 F° 61.5 F° 72.2 F° 4.3 "
Oct 39.7 F° 50.4 F° 61.1 F° 3.4 "
Nov 31.9 F° 40.4 F° 48.9 F° 3.3 "
Dec 22.8 F° 30.2 F° 37.6 F° 2.9 "
Experience all four seasons-winter outdoor sports, spring floral shows, summer outdoor events and the beautiful fall foliage.